Sodecia was seeking a sustainable design element for their new showroom space in London, Ontario. Endri Poletti Architect Inc. worked with Nedlaw to design this incredible, two-storey living wall biofilter. 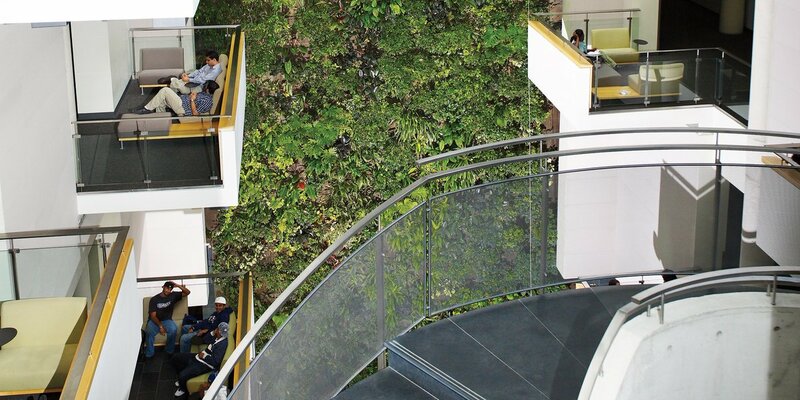 This 640 square foot living wall biofilter provides cleansed air for the office building and provides a stunning focal point in this modern space.